Truckee Meadows Water Authority | Noble Studios, Inc.
Water. In the west, it’s a vital and precious resource. As the stewards of water for more than 385,000 northern Nevadans, the Truckee Meadows Water Authority takes its responsibility very seriously. For TMWA, effective communication through a strong digital presence is critical to its success. 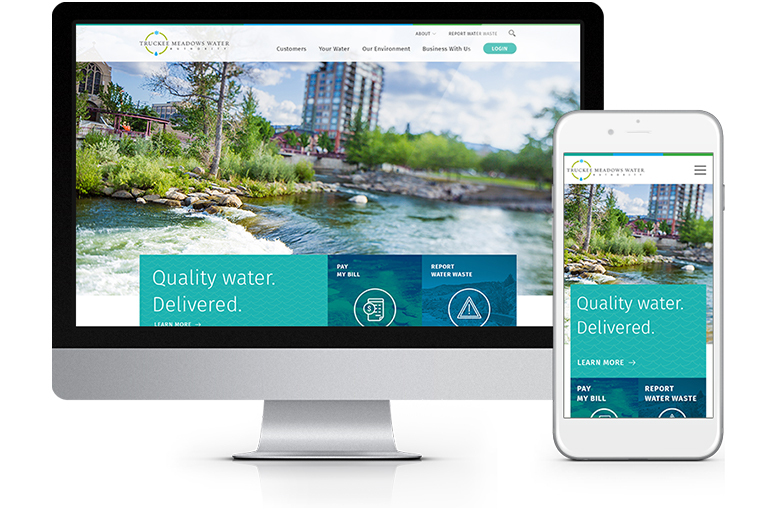 TMWA tapped our team to create a new website to better communicate its exceptional story of community-focused water service, while also encouraging an open, two-way dialogue with its users. Noble’s solutions for TMWA were designed for maximum impact, while tapping into our broad skillset as a digital marketing agency. Solutions included discovery, design, development, in-house photography and copywriting. Through the discovery process, we examined TMWA’s site through the eyes of the audience. Based on our findings, we developed a strategy to create a new site that would boost user engagement through clearer communication and ease of use. The homepage dashboard visually reports Truckee River’s water flows and reserves. Simplified menu options help TMWA customers access services they need. A new blog and events section better informs the community on what TMWA is up to. After scouting locations across northern Nevada, the Noble creative team shot new photos and videos for the site, bringing a renewed vitality to the site’s visuals. Serving as the foundation for the new site, these images and videos highlight TMWA’s state-of-the-art facilities and expert researchers and – the star of the show – the Truckee River. Using insights gained through interviews with key TMWA stakeholders and touring the water processing facilities, we created SEO-friendly pages that provided information and resources for the water utility’s customers throughout Northern Nevada–a win for our client and the consumer. With the new site, Noble architected an appealing, user-friendly site that’s fully responsive. Navigation is more intuitive, making it easier than ever for users to find and access important tools and resources. 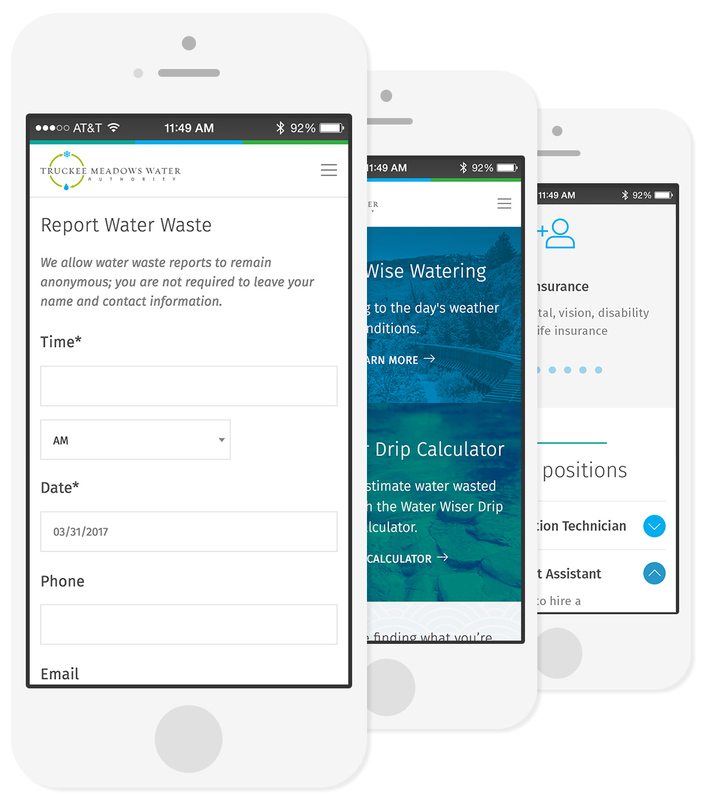 The newly redesigned TMWA.com displays seamlessly across all device types, giving customers the flexibility to pay bills, report water waste, read articles and learn more about TMWA’s services. Since launch, TMWA.com has seen a spike in overall sessions, while new visitors, organic search results and mobile sessions are all up.